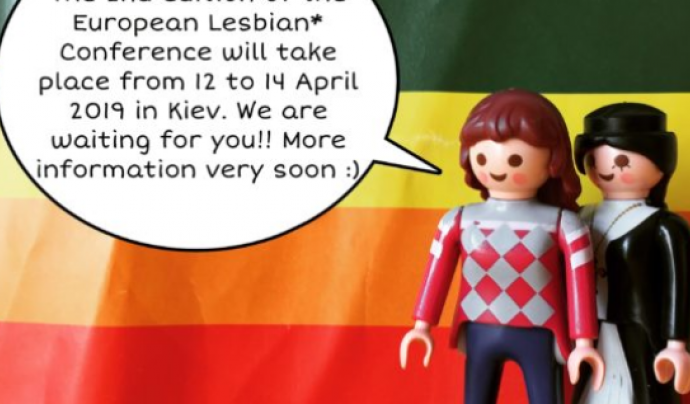 Kiev will host the second European Conference of Lesbians next April. The previous meeting took place in October 2017 in Vienna and welcomed 500 women from Europe and Asia. Kiev will host the second European Conference of Lesbians next April. The previous meeting took place in October 2017 in Vienna and welcomed 500 women from Europe and Asia. That first conference brought out the need for a non-mixed meeting to boost visibility. One of the goals of this year’s meeting is to establish an network of women and organizations. In 1980, the International Lesbian Information Service (ILIS) was an organization with a mission to promote the international organization of lesbians linked to ILGA (International Lesbian Gay, Bisexual, Trans and Intersex Association). At a lesbian conference in 1981, lesbian organizations decided that ILIS was to become an independent organization, which remained active until 1998, when it was dismantled. In 2016, at ILGA-Europe’s conference in Nicosia, a group of women and organizations defending LGBTI rights set up a project to organize an international meeting that became a reality in 2017 and showcased the need to create a network and organize events and meetings to give visibility to the demands of lesbians; that was when EL * C was established, a group of lesbian, queer, bi an trans women aiming to establish a network of lesbians in Europe and Central Asia. Its goals are to “fight lesbophobia and offer support to lesbians, and also give visibility to all societies and human beings.” The demands focus on getting European policies to reinforce human rights in general and reduce the discrimination against lesbians. The conference studied the political, legal and financial differences in European lesbian movements, as well as the urgent and shared need to become focused and meet the needs and demands of their struggles and increase their visibility, as well as roll out lesbian networks, to table the specific rights of lesbians on the European political agenda. The fact that the rights of LGBTI persons are at risk, as well as the discrimination and vulnerability faced by LGBT movements and persons, especially women, was the reason to organize this second conference in Kiev, to counter the hostile policies with positive actions to raise visibility. 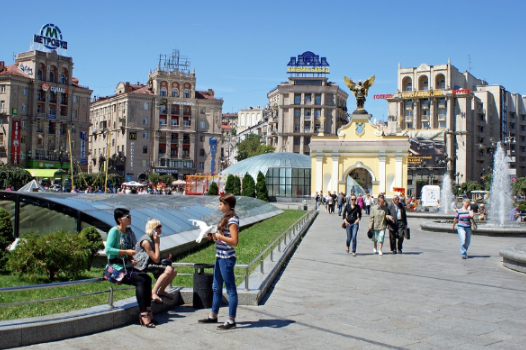 Olena Shevchenko a Ukrainian board member of EL * C stated that “Lesbians in the Ukraine are invisible and are the most vulnerable community, suffering from stigma and sexual, domestic and reproductive violence, as well as discrimination. The term “lesbian” is stigmatized and is a dirty word, leading many lesbians to use the term “gay”, which also contributes to invisibilize the lesbian community and, more importantly, makes it very difficult for their needs to be met. In this situation, we believe that the European conference of lesbians will represent a big step forward in terms of visibility, to raise the needs voiced by lesbians and to build community in the Ukraine”.